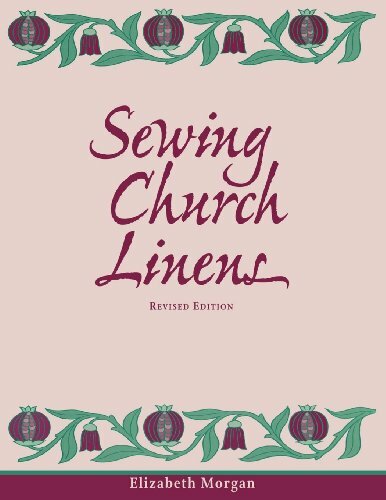 The classic book on sewing church linens, newly revised. The classic book on sewing linens for the church is back in a revised edition. This complete explains the materials and equipment needed, a variety of hemming options, special instructions on the small linens such as purificators and palls, working with fair linens, white work embroidery, and caring for church linens. New to this edition are directions for rolled hems, chalice veils, more specific directions and an improved worksheet for planning shrinkage, special advice specifically for beginners, an updated "Sources and Resources" section, and new patterns. 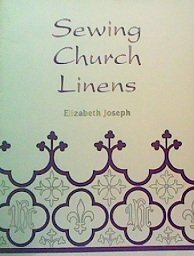 This definitive book on sewing church linens explains the materials and equipment needed, a variety of hemming options, special instructions on small linen such as purifactors and palls, working with fair linens, white work embroideray, and caring for church linens. In this revised and expanded edition, the author has added directions for rolled hems, chalice veils, an improved worksheet for planning shrinkage, special advice for beginners, an updated "Sources and Resources" section, and new patterns.